At All Eye Care Doctors, we offer a variety of services to you, at any of our stores in Cambridge and Medford, MA, including prescription contact lenses (contacts), which encompass anything from regular soft to multifocal, specialty hard lenses, RGP, and same-day contacts. All of our contacts are offered for all ages, including kids. 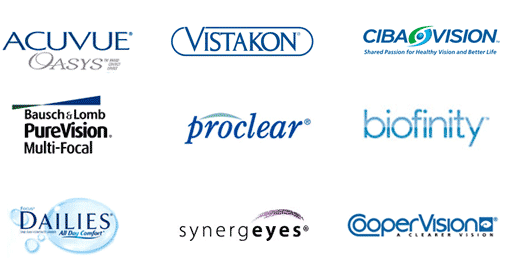 We carry many of our contacts in-stock at our locations in Cambridge and Medford, MA, in order for our patients to receive them during their eye exam visit. If your contacts aren’t in stock, we ship directly to our office for you to pick up the next day. Order your six months and annual supplies of contacts from us, and we guarantee that you will get one of the lowest prices relative to the major online retailers! If you order annuals or semi-annuals from us, we provide free shipping of your contacts straight to your home for your ease and convenience. Our experts have extensive experience to get you outfitted with the exact specialty lenses that you need. We are experts in very specific specialties in contacts fittings, including fits for Keratoconus and other types of medically necessary fittings. At our office, we know that every patient is unique and that different lifestyles require a different type of contact lens. Let us help you find the lenses to meet your needs today. Contact lenses provide improved eyesight without compromising peripheral vision. Using the latest medical technologies, there have been several new enhancements in the contact lens market and flexible new prescribing options available to patients. We understand that you may require a different type of prescription contact lenses to best fit your needs, which is why we can help you get outfitted with all types of contacts, including regular soft, toric, and even hard lenses. We also offer a number of other advanced contact solutions. Why buy contacts from us? 1) Competitive pricing! We offer the best prices GUARANTEED! If you find lower pricing from a legitimate online retailer, we will match it and give you some additional freebies. 2) FREE shipping on a year’s supply of monthly/ biweekly contact lenses or on a 6 month or more supply of daily wear lenses! Plus we carry many contacts in stock that you can TAKE HOME with you after your fitting is complete! 3) You receive complimentary diagnostic contact lenses until your order arrives & BONUS lenses when you buy 3+ months! 4) We have the latest manufacturers’ rebates available to save you money, including $200 INSTANT REBATES! 5) PLUS you receive 2 FREE solution bottles with cases. ** These come in daily, biweekly, and monthly. *** At All Eye Care Doctors, we are proud to offer these services that many of our competitors do not! Unlike our competitors, at All Eye Care Doctors, we specialize in fitting difficult cases, such as Keratoconus cases and irregular corneas. Contact lenses are the preferred devices to make patients see well with this disease. Patients with complex eye conditions will finally be able to wear lenses with comfort, using our specialty products. There is nothing more rewarding than making patients with complex cases see well! Presbyopia is a condition that patients over the age of 40 typically experience. If you are tired of wearing readers or your regular contacts in addition to readers, come and experience our bifocal/multifocal contact lenses. These services are now available for those who need assistance with near vision/reading and far vision. There are a variety of multifocal lens options available to fit patients with all types of visual concerns, and we are confident we will be able to find what you need. Many patients come to us after dealing with complications relating to refractive surgeries. Many times, those who are unable to attain 20/20 vision after surgery will require special contact lenses to regain their eyesight. We can help you attain the functional vision you desire with the help of advanced, custom design lenses. At All Eye Care Doctors, we understand that many times contact lenses are not only needed for vision enhancement, but for cosmetic reasons as well. This is why we are able to fit patients with cosmetic contact lenses. Whether you want color contact lenses or prosthetic contacts for corneal scars or misshapen pupils, we offer a variety of solutions. We also offer a variety of designer frames and prescription eyewear if contact lenses aren’t for you. Contact us today to learn more!